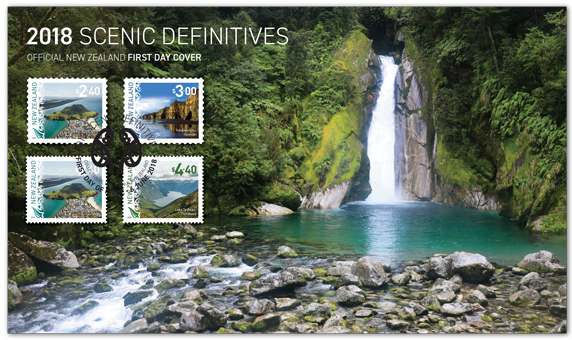 The Scenic Definitive Series began in 1995 and since then has produced some amazing stamps. 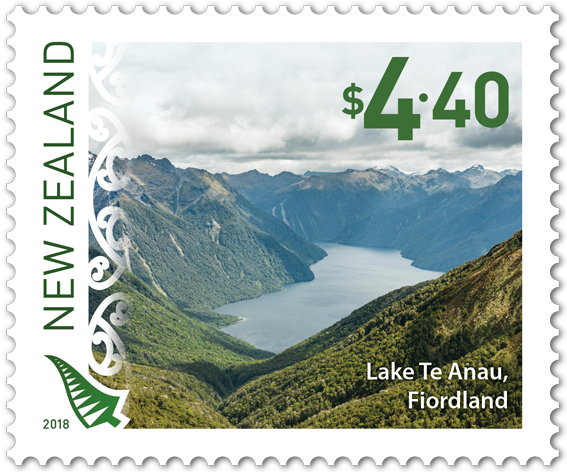 The 2018 Scenic Definitives stamp issue highlights three more views of New Zealand's unique lakes, mountains, beaches and stunning natural structures. With steadily declining mail volumes the cost of mail services has continued to rise. By mid-2018 there was a need for rates changes and new definitives. 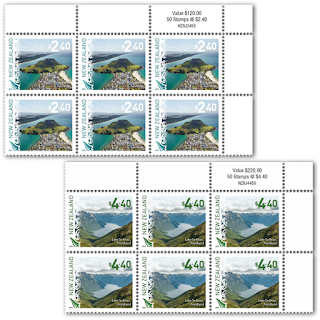 In this case, there was a set of two gummed stamps and a set of two adhesive stamps. The lower value of both sets carried the same design. The header photograph from the NZ Post website showing all four stamps of this issue. Fondly dubbed 'The Mount'. This popular holiday destination is loved for its white sandy surf beach oceanside, sheltered bay harbourside, and a choice of walks up and around the peninsula's distinctive peak - Mauao - offering spectacular views of the Pacific Ocean. Whenever we go to Tauranga I try to take a walk up 'The Mount.' The views from there are great and I've taken a number of good photos over the years. Another good walk is to circle the base of the mount and if you are lucky you'll see a large passenger liner entering or leaving the harbour. They pass by so close that you can see the people onboard waving back to you. First Day Cover - 6 June 2018. NZ Post captured another of New Zealand's stunning natural highlights with this first-day cover, featuring the beautiful Giants Gate Falls on the Milford Track in Fiordland. 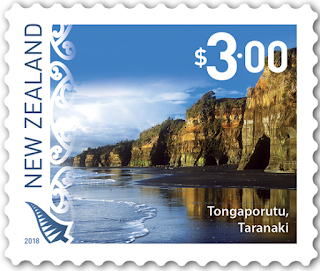 The cover features all four stamps, two gummed stamps and two self-adhesive stamps. Full sheets. 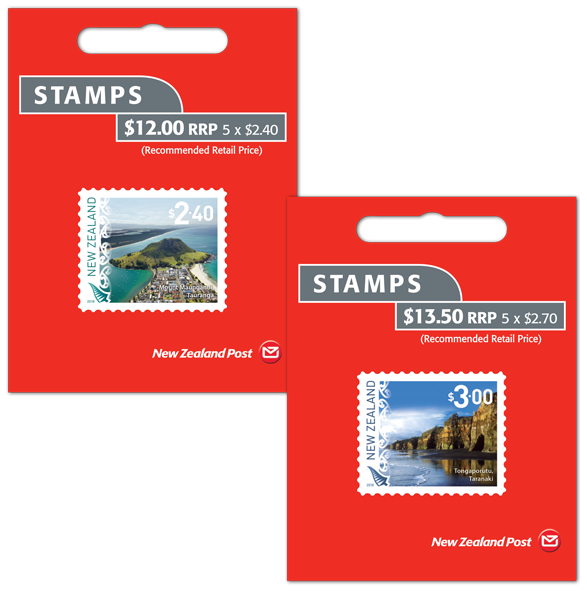 These sheets will be reprinted as required as long as these stamps remain on sale. The number of stamps: Four. 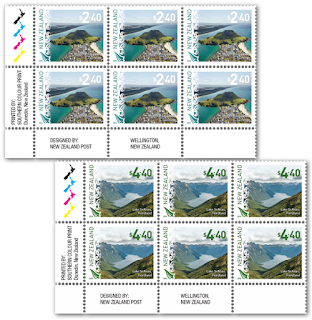 Stamps and first-day cover designed: New Zealand Post, Wellington, New Zealand. 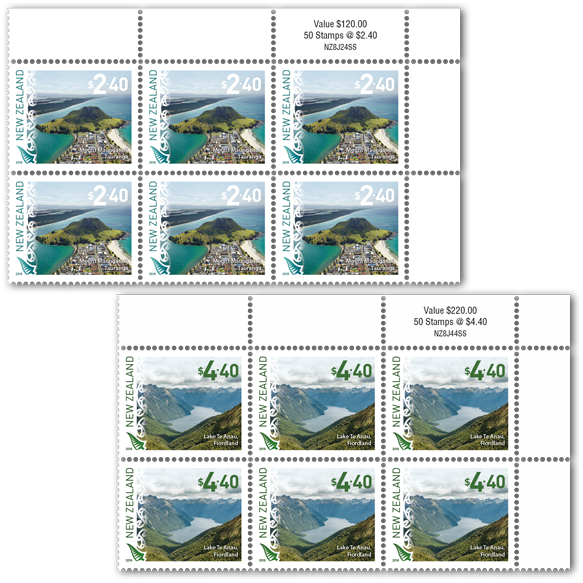 Stamp size and format: 30mm x 25mm (horizontal). Paper type Gummed: Tullis Russell 104gsm red phosphor gummed stamp paper. Paper type Self-adhesive: Tullis Russell 220gms PSA red phosphor stamp paper. 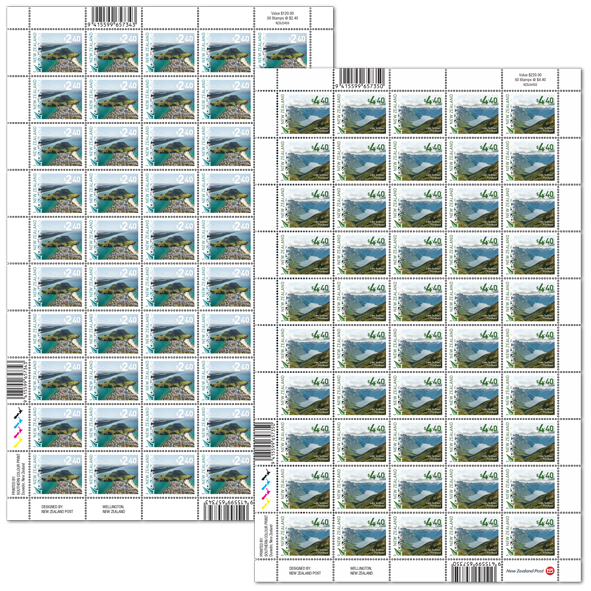 The number of stamps per sheet: 50. Period of sale: These stamps will remain on sale until further notice. 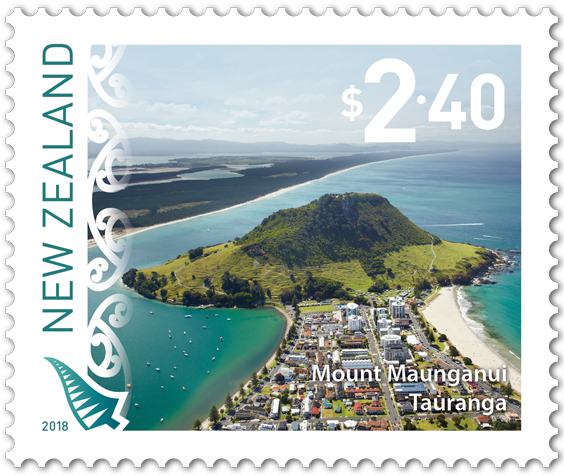 The first-day cover will remain on sale until 5 August 2018.